Further investigation by WNIN and Side Effects Public Media calls into question the work of a government-hired psychologist on thousands of Social Security Administration disability claims. The news outlets had previously reported about concerns that the psychologist might have falsified at least two dozen mental competency exams related to criminal court cases.. The scrutiny arose after he was convicted of falsifying one such exam. The widening scrutiny, according to WNIN, stems from his role in 10,567 disability cases for which he performed services for the Social Security Administration. The psychologist, Albert Fink, was paid more than $1.6 million between 2006 and 2016, according to public records obtained by the news outlets through public records requests. 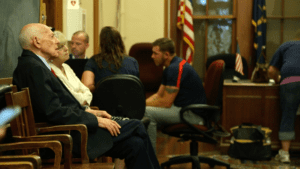 In photo by AJ Casey for WNIN, Psychologist Albert Fink at a court hearing in GIbson County, Indiana. The doctor was charged with obstruction of justice after admitting he had faked court-ordered mental health examinations. In Louisiana, some hope for men trying to break free from cycle of incarceration. FIJ/Schuster diversity fellow Lottie Joiner completes her series on recidivism for USA Today by looking at the experiences of men incarcerated in Louisiana, which has one of the highest incarceration rates in the country. 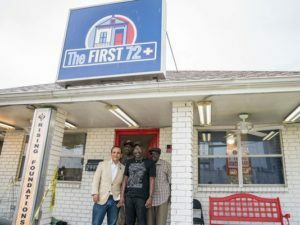 In her latest multimedia installments for her “Policing the USA” project, Joiner features former felons getting help from a program called “First 72+,” which is trying to help men break free from the cycle of crime and imprisonment. Joiner reports that the United States spent more than $56 billion in 2015 to lock people up. Studies show that the United States has the highest incarceration rate in the world. African American men, in particular, are jailed at higher rates than other groups. As part of her project, Joiner also interviews best-selling author Shaka Senghor, who went to prison when he was 19 after being convicted of second-degree murder. In photo by Jarrad Henderson for USA Today: First 72+ founders, from left, Blair Boutte, Kenneth “Jack” Dilosa, Tyrone Smith and Ben Smith. 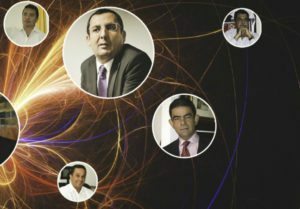 A team of 18 reporters from 11 national and local publications across Colombia launched an ambitious investigation into the work of 20 local comptroller’s offices (hipervínculo en español) and the apparent conflicts of interests in the auditing of government agencies and the public treasury. The investigation, led by Colombian NGO Consejo de Redacción and published by El Espectador, found that comptrollers’ offices sometimes employed people who are being investigated or who have close ties to governors, mayors and other officials who are supposed to be under scrutiny. What’s more, comptroller’s have signed off on contracts worth hundreds of thousands of U.S. dollars that involve relatives or close associates. The investigation reveals a system that has few checks and balances to prevent abuse. The FIJ-sponsored investigation partly focused on the allegations of a 21-year-old woman who said she was molested by Johnson in his church basement when she was 17. It was part of a broader examination of the institutional failures that allowed Johnson to ascend into positions of power, including election to the statehouse. Two days after “The Pope’s Long Con” was published on Dec. 11, 2017, Johnson killed himself, the Bullitt County coroner told the Associated Press. During his rise, Johnson claimed to have served as the White House chaplain to three presidents and as a United Nations ambassador. 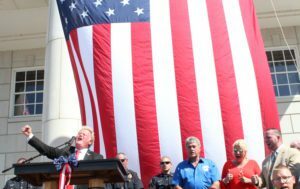 He said he performed last rites for all of the victims pulled from the fallen towers of the World Trade Center during the Sept. 11, 2001, terrorist attacks. In its reporting, the center conducted more than 100 interviews and inspected thousands of pages of public documents, including police reports and court files. KyCIR, a project of Louisville Public Media, said Johnson declined to be interviewed despite numerous requests. In a story for The New Yorker, FIJ/Schuster diversity fellow Lisa Armstrong reports on the movement to end solitary confinement for juveniles. Her piece, “A Teen-Ager in Solitary Confinement,” chronicles the plight of Jermaine Gotham, who was sixteen the first time he was locked in “the box” in an upstate New York county jail. In 2016, President Obama banned solitary confinement for children in federal prisons. Several states, including California and Massachusetts, have either ended the practice or set limits for state prisons. But in other states, juvenile solitary confinement continues. Even where reforms are underway, local jails typically determine their own rules. 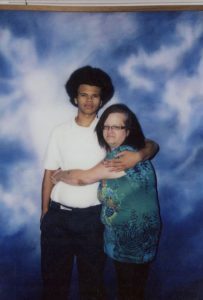 Photo of Jermaine Gotham courtesy of his mother, Angelena Morris, who is pictured with him. Southern New Mexico’s fragile behavioral health system has taken many hits in recent years and doesn’t meet the region’s needs, according to a series of reports by NMPolitics.net in collaboration with the Las Cruces Sun-News and KRWG News. Law enforcement is increasingly tasked with handling crises they can’t fix, data shows. Policymakers have taken some steps to help, but progress has been slow. The news collaboration set out to investigate the problem, tell the stories of people the system impacts, and explore possible solutions — including implementing new law enforcement programs, creating a mental health court and expanding the state psychiatric hospital to the region. 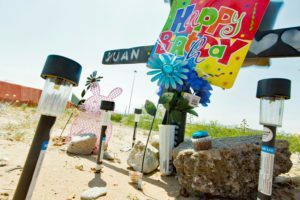 In photo by Robin Zielinski for NMPolitics.net, balloons and a cupcake festoon a cross on the Lohman Avenue bridge, where Juan Gabriel Torres was shot to death by police.